The last few days have been completely draining on me emotionally, to the point where it starts affecting me physically. On Tuesday night I crawled into bed around 10 and didn’t get out until 7:30 in the morning. 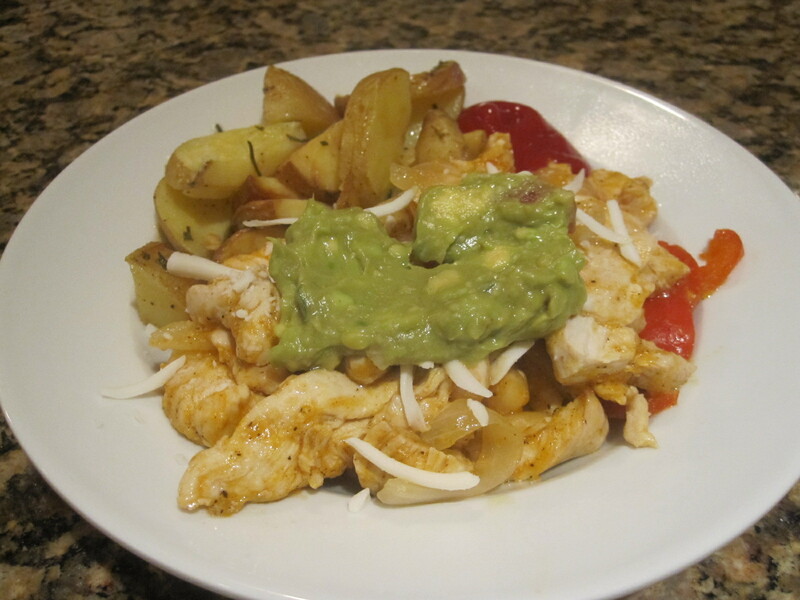 I had just enjoyed a pretty good night at the yoga studio, and rushed home to a bowl of fajita chicken, roasted potatoes, and guacamole. I went back for seconds on the potatoes. They’re absolutely delicious and full of flavor. After that I was still peckish so I went straight for my Vitatops. 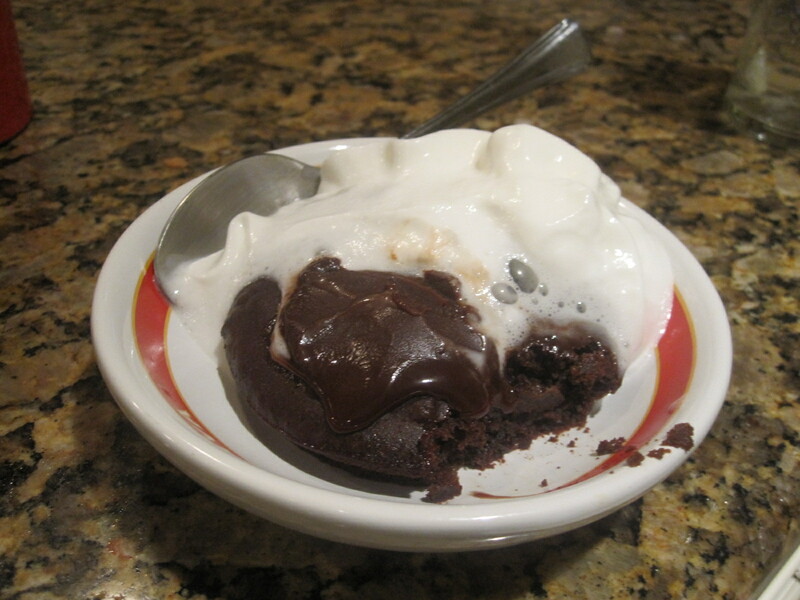 I had a chocolate vita-top with a smear of chocolate sauce and Reddi-Whip Free. I still went to bed starved and exhausted. I told you, this week has been brutal! I think my body doesn’t like that I don’t binge anymore. It was so used to a specific way of eating for so long that when I try to train it the right way to eat, it freaks. It tells me I should be eating more when I’m full, and panics if I’m not constantly eating. But I have to trust my body and trust that I’m giving it what it needs. Plus, I think my body isn’t used to just eating when it’s hungry, and stopping when it’s not, so it takes longer for me to feel full when I’m eating because when I sit down to eat, my stomach is empty and ready for nourishment. My brain isn’t used to that feeling, and sends signals to the rest of my body that I’m starving. One of the sickest things I used to do to myself in the throes of my eating disorder (when I was otherwise perfectly happy with my body and how it looked) was what I call CS-Chew and Spit. When I was otherwise perfectly satisfied with my meal, if a lot of dessert came out at the end, I would take a little bit of everything, put it in my mouth…and then run to the bathroom and spit it out. That is absolutely disgusting, right? Well, I did it. And a few times a week, at that. I used up whole bars of chocolate that way. I would think I just want to taste it, and then I’ll be fine. I didn’t trust myself that one piece of chocolate would be enough. I can gladly say that those times are pretty much gone now. I made a promise to myself this New Year’s Eve that I would not CS ever again. I’ve had a couple slipups, but I’ve gone weeks, months, without doing it. I’m so happy that my compulsive behaviors are largely behind me. My brain still stresses sometimes about food, but my days of counting every single calorie and measuring everything are gone. Aside from my oats in the morning, some liquid products, and oil/nut butters (nut butters are a serious trigger food for me), I just eyeball now. After running on the treadmill for close to 4.5 miles yesterday (I had to run inside due to the heat, and also my tummy still hated me for that burger! 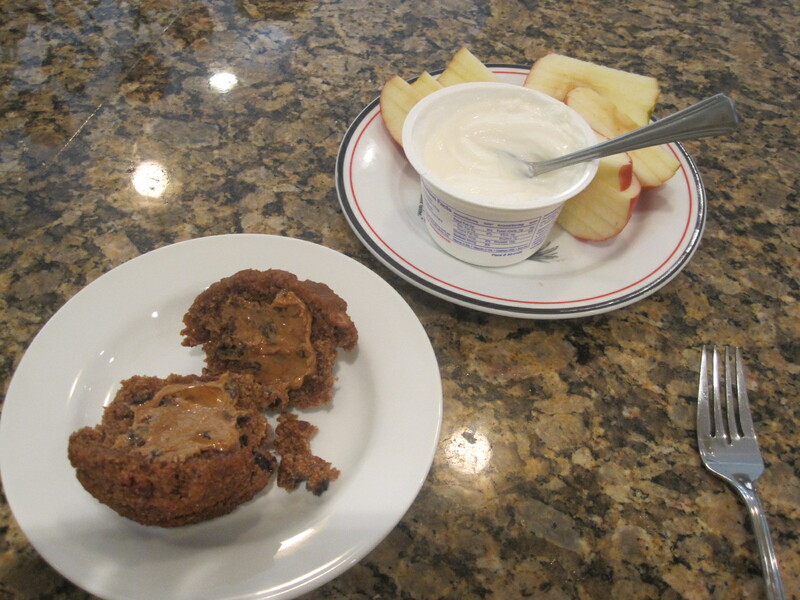 ), I enjoyed a Trader Joe’s Berry Mango Muffin with Cinnamon Raisin Peanut Butter, Fat Free Fage, and a Fuji Apple. I had frozen the TJ’s muffins when I got them, and I’m glad I did! They hold up extremely well. And they paired so well with the peanut butter. I’m starting to incorporate a little more fat into my breakfast to help me feel fuller longer. I have no pictures of my work snacks, but they were a Cherry Pretzel ProBar (delicious and filling at 370 cals) and a pretty big banana that I needed to eat before it turned black. I froze the rest. I have a HUGE bag of frozen bananas in my freezer now. Can you say banana soft serve anyone?! I also packed a O.N.E. Cashew Fruit Drink that I’d heard good things about when I picked it up at Whole Foods, as well as a serving of Archer Farms Muesli, but my stomach was wrecked after work (we were so busy and I got very stressed out!) so I didn’t end up eating until I got home. Once I did, I got to work assembling a dinner of leftovers, plus a newcomer to my kitchen! 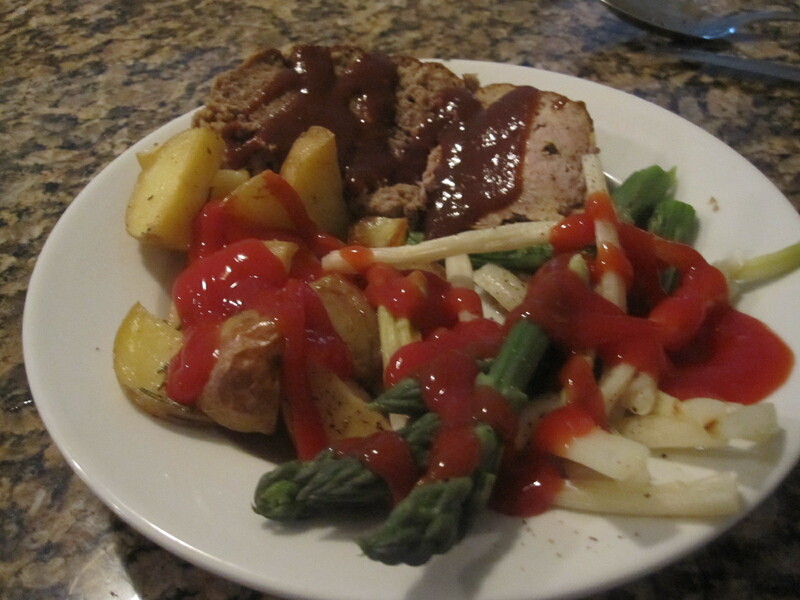 Meatloaf with A1 Sauce, roasted potatoes, steamed green/white asparagus. I’ve never had white asparagus, and it was a little annoying attempting to peel those little suckers (the package states loudly “To enjoy the taste the Dutch have loved for centuries, YOU MUST PEEL”). But when I did and steamed then according to the package instructions, I was pleasantly surprised. Unlike regular asparagus, white asparagus have a sweeter taste to them. I enjoyed them tremendously! Meatloaf is something I don’t normally get to eat, but I’m always glad when my mom makes it. My one problem is that the meatloaf mix she uses includes veal. I’m ethically on the fence about the use of veal, but I will admit I do eat it from time to time (only when my mom makes meatloaf or veal osso bucco). After dinner, while waiting for a friend to come over with her puppy, I ate a gigantic orange. 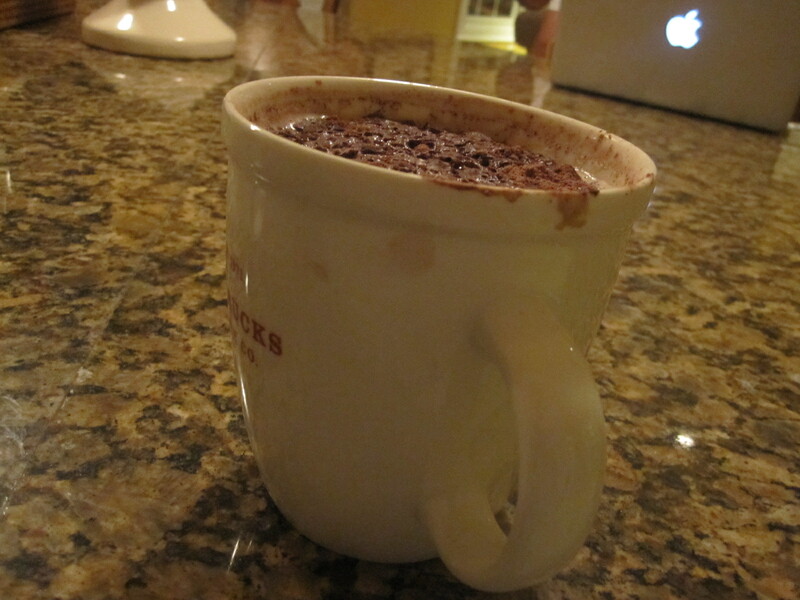 Then when she left, I enjoyed a mug of Swiss Miss Diet Cocoa with two packs of the mix, plus some cinnamon. Today I have morning yoga with my best friend, so I decided to make myself a quick, filling breakfast. 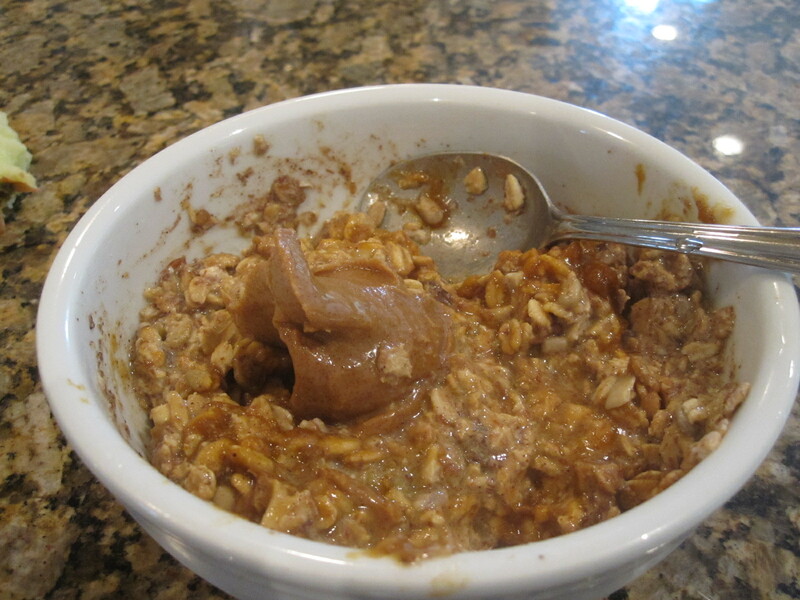 I threw together some overnight oats last night and topped it this morning with pumpkin butter and cinnamon raisin peanut butter. 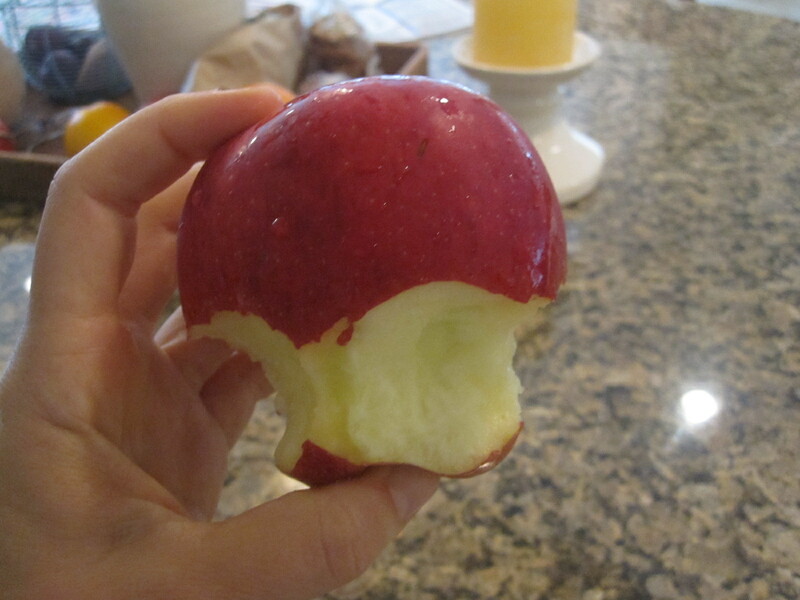 I also snacked on a pretty large Fuji apple. Off to get my ‘om’ on!